I had already given up on finding an academic job after graduate school when the call came. It was a three year visiting position in a remote, small liberal arts college no one ever heard of, but whatever, it was a job! Within two weeks, I decided to move across the country, spend whatever savings I had on the move, and tried to be positive about moving away from friends and family. And there were things to look forward to: A decent salary, conference traveling allowance, and my own office. MY OWN OFFICE, YAY! As a first job- not too shabby. The sobering reality set in before I even set foot in a classroom. My new “mentor”, whom I will name “Ursula”, pulled me aside, and told me about a “terrible mistake” I had made in my teaching demonstration during the campus interview. I had used the textbook instead of a power-point. I listened and shrugged it off. After all, we all have different teaching styles. In my third week at the new college in the new state I had just moved to, Ursula announced she’d observe me. After the first observation, I got a 45 minute lecture on how crappy I was. She followed it up with a lengthy email on a Saturday at 11.30pm, followed by one on Sunday at 8 am asking whether I’d care to reply. I happen to have a specialization in pedagogy, have won teaching prizes, have gone to conferences on teaching, and have outstanding evaluations- I know that I am not a bad teacher. Yet, since I came from an R1 institution, it was clear to Ursula that I was unsuited for this small liberal arts college. When I asked her why I was observed so early in the semester, I was told that I needed to be “broken in.” Also, if I continued this way, she wouldn’t be able to hire me for a second year. Her suggestion for “helping me”: She wanted me to report to her once a week, show her my lesson plans for the weeks ahead, and observe me once a week as well. When I politely declined, the threat to not re-hire me was made again. 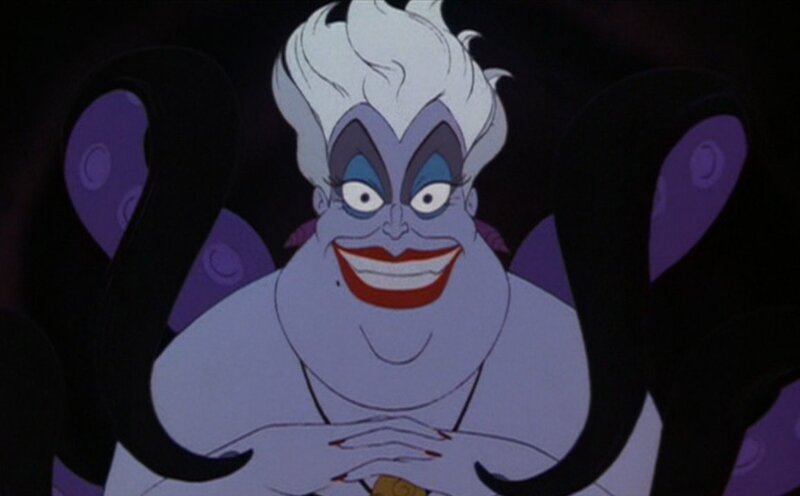 My chair, responding to my complaint, told me that really, it wasn’t all so bad- Ursula was just clumsy and trying to “help me”. My Dean was apologetic but essentially did nothing, and that’s when I realized: Ursula was tenured, I was not. I would be gone in three years, she would still be around. Why would the Dean protect me? Ursula was amazingly good at berating me (“helping me”), but when I asked for actual help, it was declined. She categorically refused to share syllabi, so that I could “to grow and learn.” She then secretly interrogated students on how I taught and told them that I just didn’t know what I was doing but they should be patient with me. When I published three articles in the midst of all of this, she told the chair that, clearly, I didn’t have the right priorities. That I commuted to work also demonstrated my lack of commitment to the college, despite the fact that I arrived at 9 am and left around 8 pm most days. Since I occasionally get a haircut and wear professional clothes, I was superficial and lacked the intellectual depth and gravitas for the job. In every department meeting, she pointed out my junior status and lack of experience. On another occasion, she literally took my laptop away from me in order to; again, “help me” write an email to a student. Who could I talk to? After all, I was the only one of my cohorts to get a job! To whom was I to complain? Wasn’t this the career I had chosen and worked so hard for? I began to drink a little too much and sleep and eat too little. When I met my parents that Christmas, the rings under my eyes were so blue Picasso would be envious. I was physically too weak to pull my own suitcase, and randomly broke into tears. When I finally confided in my adviser, she said that the same thing had happened to her 15 years earlier. I was shocked. This was a thing? I was criminally naïve. Because it is “a thing.” It’s called bullying. Unfortunately, Ursula was rather the norm than the exception. My friend Jennifer was introduced to students by her first name- because according to her colleague she had not “earned” her title as “professor” yet. Another friend was told by his chair that, with his “youthful looks”, he probably wasn’t into heavy-hitting scholarship. A young, pregnant scholar received an anonymous note “from a well-meaning friend” suggesting to abort, if she wanted tenure and an academic career. A recently married VAP in a long distance relationship was advised to not be “so attached”, because seeing your wife once a week shows a lack of commitment to the college (which employed him for a two year visiting position). An adjunct arrived at her desk only to discover that her colleague had used her desk as his personal book shelf- he didn’t think she needed her desk. A month before tenure review, an untenured professor was asked by a generally supportive and friendly colleague whether she could teach all of his courses for the next ten days as he was going to a conference in Bali. Not for free, of course, he was going to buy her a beer –“or an appletini if you prefer”… sometime. “But that’s what unions are there for!” you might say, or “ Go to HR and complain!” I would, and so would all those others, but one word keeps us from it. Tenure. Unfortunately, one of those helpful colleagues will have to write us a recommendation letter for the next VAP position to which we are applying, one of them might be on our tenure committee, one of them might be on the committee for the next research grant, etc. Unless there are structural changes, Ursula and her cronies reign supreme. I was also told that “It’s just like hazing, once you’re one of them, it will be fine.” Well, when my students sit in my office after rush week, sleep-deprived and teary-eyed, I ask them why they want to associate with people who treat them like crap and pay a fortune to do so on top of it? Pot calling kettle alarm! And if you shut up until you have tenure- will you still have a voice by the time you are tenured? I know, I know: I am arrogant/ bitter/too sensitive/whiny. This is the way “the profession” is, I should have known it all before (see above: I admit to being idealistic and naïve). And yet, I wonder why we readily accept that we treat each other so poorly? It’s not a case of “if you can’t stand the heat get out of the kitchen,” it’s a case of how much boiling water can you pour on a person before they are burnt. I don’t want too much at this point, but being treated like a human being is on the list. This entry was posted in Academic Culture and tagged academia, bad mentors, bullying, tenure, VAP. Bookmark the permalink.